Mark Dredge - Beer: Nectar Ales Black Xantus: Open It! Some people are just nice and want to give you bottles of beer because they think you will like them. This happened to me when I was in San Francisco. A tweet arrived saying something along the lines of ‘I’ve left some bottles behind the bar for you.’ I never met Bill (I don’t think so, anyway, although I don’t remember much of SF as I was either completely wasted or disgustingly hungover with very little in the middle UPDATE: I did meet Bill! It was in City Beer Store where I was at my drunkest! Sorry Bill and thanks again), the guy who left them, but I’m incredibly grateful. The first was a Russian River Damnation 23 (an oaked tripel) and it was sensational. The second was Black Xantus by Nectar Ales. It’s an 11% imperial stout with coffee, aged in bourbon barrels and hopped with US Fuggles, which is just my kind of thing. It pours a dark brown with a chucky head that you can’t help but dip your finger into. Immediately it bursts with bourbon and throws out vanilla ice cream, oak, coconut and milk chocolate. One mouthful and I’m in love (and lust): imagine an amazing chocolate milkshake with bourbon and you aren’t far off. It’s a smooth glugger, packed with chocolate, iced coffee, fruity and roasted coffee, lots of barrel and a little liquorice. It’s – here it comes – awesome. Simple as that. I don’t know much about the brewery or the beer but it doesn’t matter. The beer is excellent and I’ve finally got around to drinking it. The joy of Open It! is that it isn’t necessarily about drinking the superstars or the rarities of the cellar (though this may well be a rare superstar...), it’s about drinking the beers you’ve been meaning to drink. 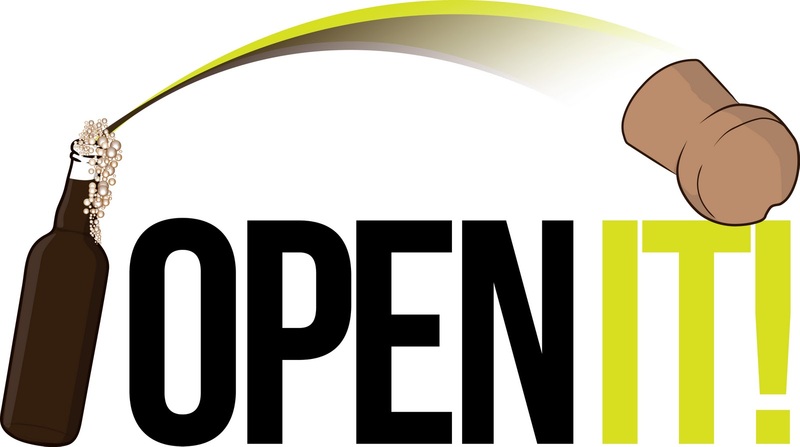 There’s still time for people to take part in Open It! and lots have already been drinking something good from their selection. Just look at twitter to see what people have been drinking.